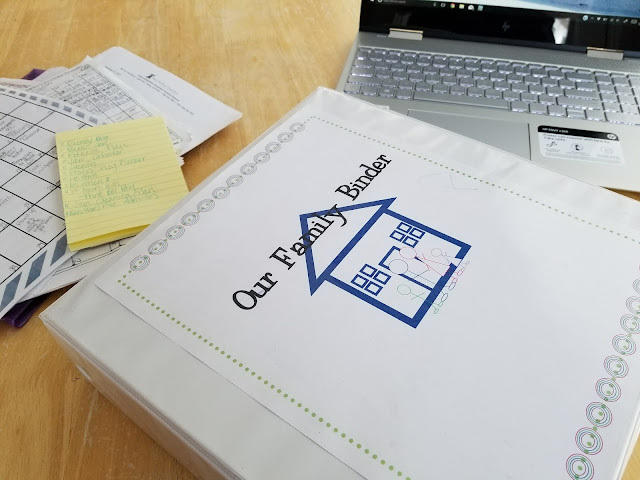 To really motivate me, I put together this Family and Home Organization Binder aka Family Binder, so that I could track what I was doing and keep all the important documents, events and dates in one place. 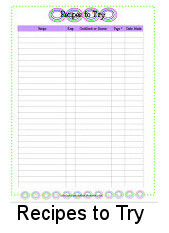 This family binder would also be great in an emergency situation. Say a fire, flood or in case us being out of town and someone needing information, everything is in one place and can be accessed easily. I've been sharing my progress throughout the summer. 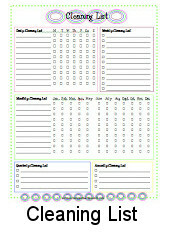 I know some of you have been following along and learning how I have been putting together my home organization binder. Perhaps some of my process is different than yours, or maybe you've never done it at all. I hope this inspires you to try something new. 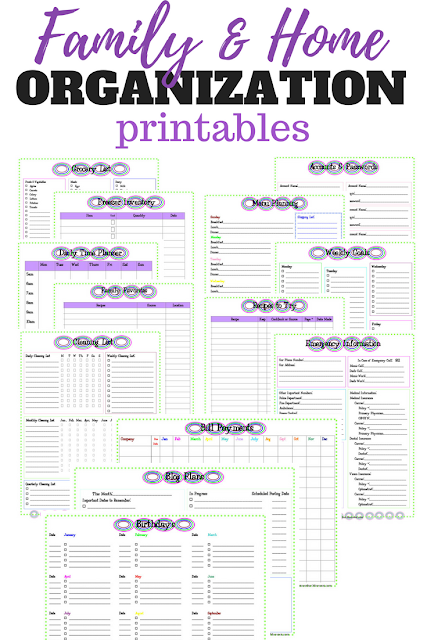 Heck, several of these family binder printables are new to me and I am hoping that keep me on track a bit more. 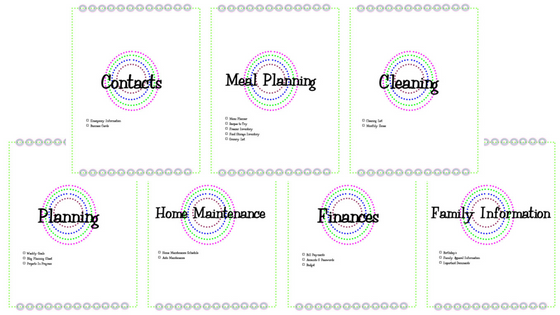 Especially those that involve getting my kitchen and meal planning together. You can see how full my home organization binder is pictured below. It is pretty big. 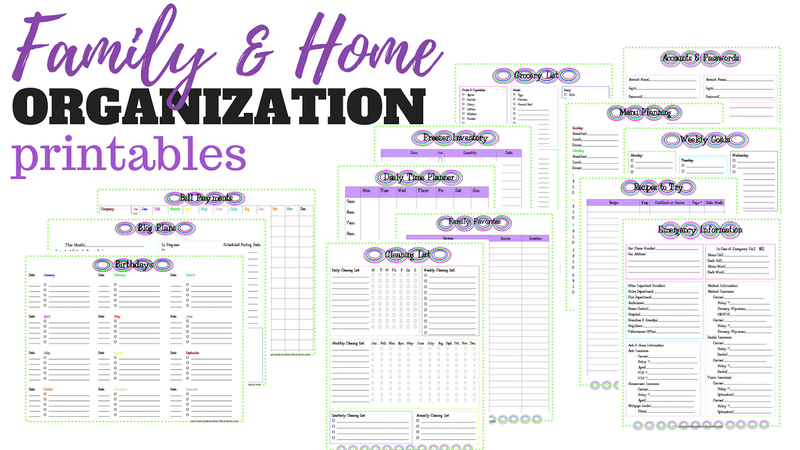 Let me walk you through a couple extra steps I took in putting all my home binder printables together. That way you can see how easy it is to put all the pieces together. 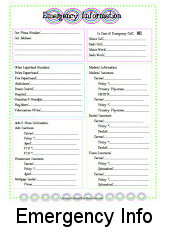 First, you'll want to print out the family binder DIVDERS!!! They have listed on the cover which PDF's go in which section. 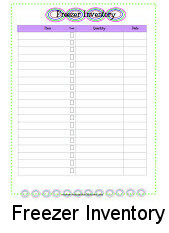 This way as you are printing and organizing each of the sections you know exactly what goes in each. They are pictured below. 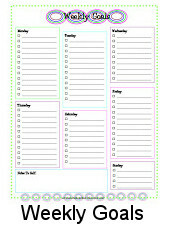 This will really help you get better organized. 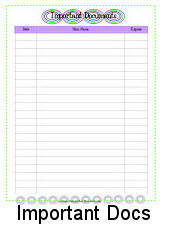 Next, purchase some self adhesive index tabs like these. These tabs are amazing! 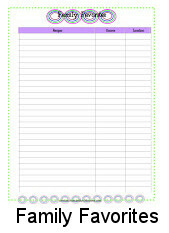 You just stick them right onto your sheet protectors and you have created your own simple binder dividers. Now to organize, put everything in sheet protectors. This way you don't rip out your home organization binder sheets. You can simply pull out whatever printable you need. 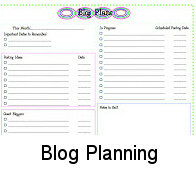 Another tip, laminate the pages that you plan to use over and over and over again. 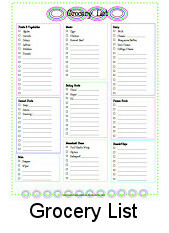 Like the Cleaning List or the Menu Planner. 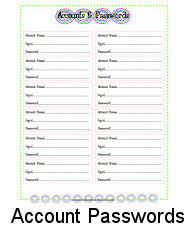 You can hang them on your fridge or hole punch and place in your family binder to keep track of what you are doing. Here is the entire list of FREE printables for your family and home organization binder. We have a ton! 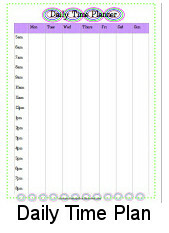 Just click on the image below and it will pull up that printable. 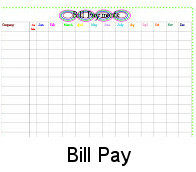 If you only want the bill pay printable, just download that. 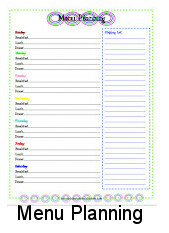 Or if you just want the menu planning printables you can just print those. 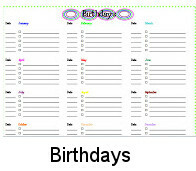 Or download them all and get your family binder going. Enjoy! !